Welcome to the Monsanto (MCHX, MCPX, MLUX, MOHX, MONX) Freight Cars Page. 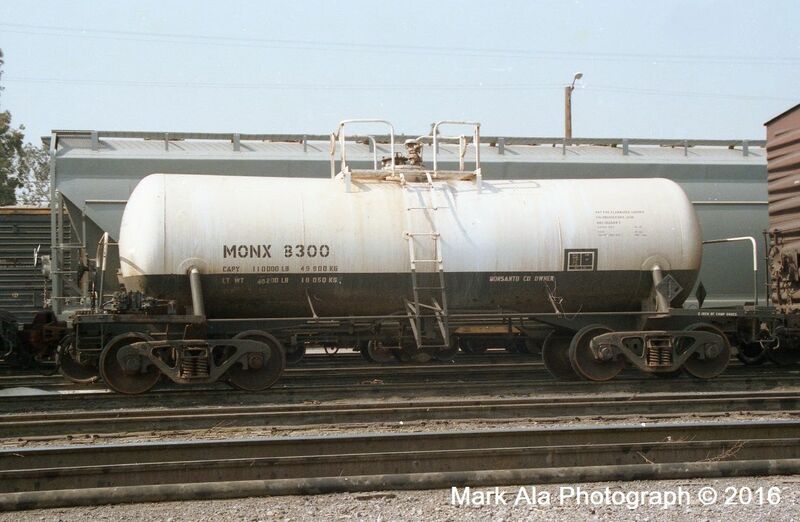 Monsanto has had a fleet of freight cars (mostly covered hoppers and tank cars) for a long time. Most of these cars have worn reporting marks MCHX, MCPX, MLUX, MOHX, MONX and possibly others. The MCHX designation is from the Merrimac Chemical Company, which was purchased by Monsanto in 1929 and operated as a the Merrimac Division for some time. Tank car MCHX 117 was donated by Monsanto to the National Museum of Transportation in Kirkwood, MO in 1961. Monstanto was purchased by Bayer in 2018.